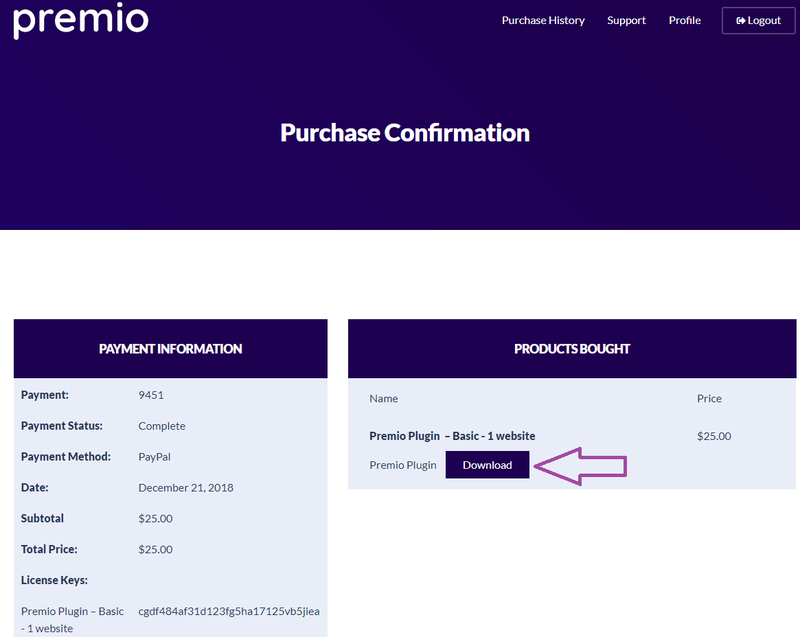 First, login to your account at Premio and click on “Purchase History” in the main menu. 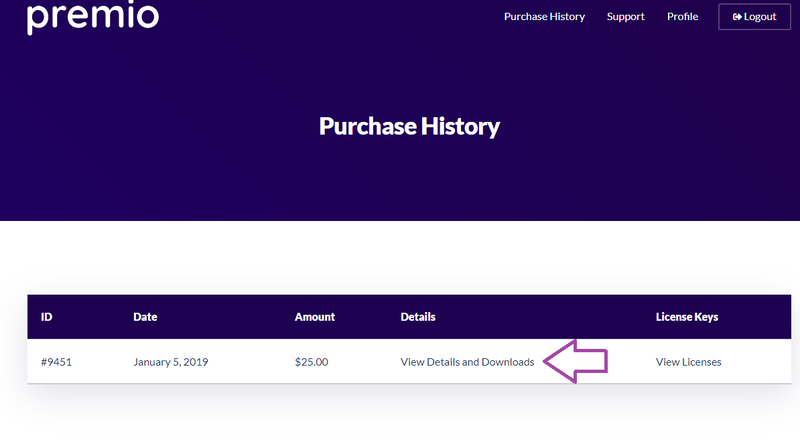 Visit our plugins page for some awesome plugins, and feel free to contact us by email or Facebook Messenger if you have any questions. 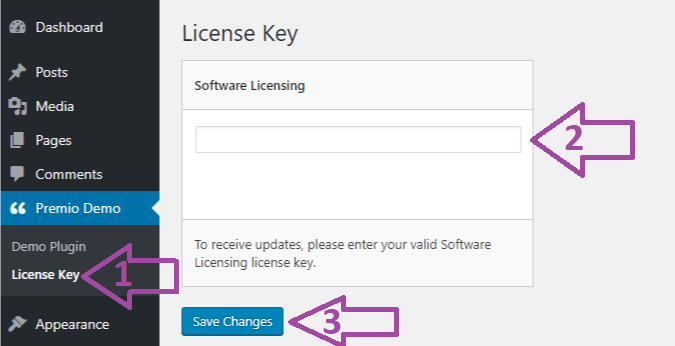 What should I do if I’m getting a “Your license key is not valid” error? Go back to your WordPress admin panel and enter your token, you should be able to activate your license key now.